Cruise through fjords aboard the MV Ocean Atlantic and amble across geological wonders to discover two enchanting Nordic countries - Greenland and Iceland. Encounter vibrantly coloured homes sprinkled throughout rugged terrain in Sisimiut. Make your way through the Arctic Circle and encounter magical Disko Bay. 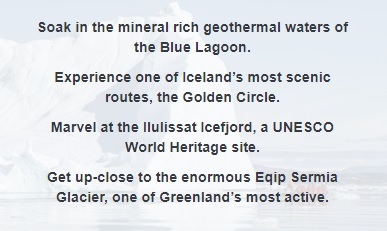 See the Eqip Sermia Glacier, Greenland’s most active and arguably most breathtaking glacier. 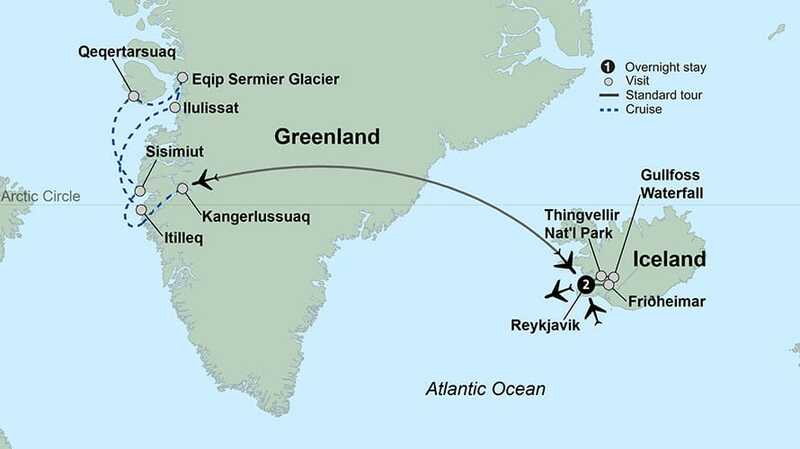 In Iceland, travel along the Golden Circle - a spectacular route that takes you to many of Iceland's renowned natural wonders. Discover the capital city of Reykjavík on a guided walking tour. Relax in the geothermal waters of the Blue Lagoon. 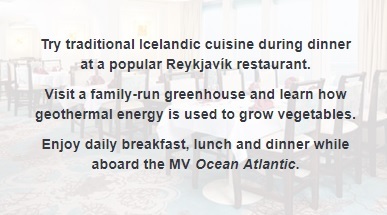 Witness the Icelandic farm-to-table culinary culture. Dramatic landscapes, dynamic cultures and epic travels await.